The gods are at war, The land of Argethlam is beset by hard times, and Atreyavahl is near collapse because of the assassination of their Queen Viesha a century before. A prophecy tells that the god of darkness, Ardeth Anubace’s Black Wolf will bring the fall of the Inner Kingdom and then Argethlam, leading the world into Ardeth’s rule. But Ramos Ra, the Sire-God, created his own champion, the White Wolf to defeat the Black Wolf and purge the land of Ardeth’s curse. Mercenary daemon Debello has wandered Argethlam for 100 years with amnesia. 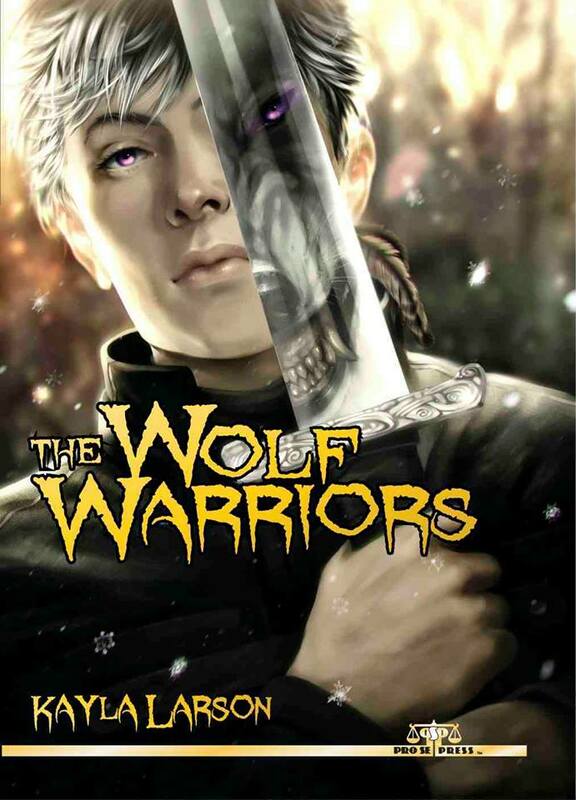 He searches for the only clue to his past, a daemon named Vaulx. Once pieces start to come together, Debello soon realizes his forgotten memories were to a life hidden in the Inner Kingdom of Atreyavahl. And that he may indeed be one of the Wolves of the prophecy. But which one? Ardeth’s Black Wolf, a paragon of death and destruction? Or Ra’s White Wolf, the only hope Debello’s world has? Is Debello Life…or Death? Visit Kayla Larson on the web.